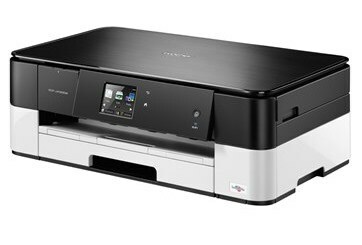 The DCPJ4120DW is the most affordable member of the only A4 inkjet all-in-one printer series in New Zealand with A3 capability. The series boasts the lowest running costs in its class, because of the super high yield inks used. Choose a printer capable of A3 printing if you need to make a bigger and bolder impact perhaps with high quality designs, drawings, floor plans, and spectacular photos. It has an easy-to-use touch screen, the choice between wireless and USB connection, and the variety of devices you can print from. It scans and copies in A4 and can print up to one A3 page at a time.